Deck The Halls. With Organ Donation! This time of year is most meaningful when we stop and think about what’s most meaningful. If you or a loved one’s life has been touched by organ donation, you already know it’s impossible to name anything more meaningful. 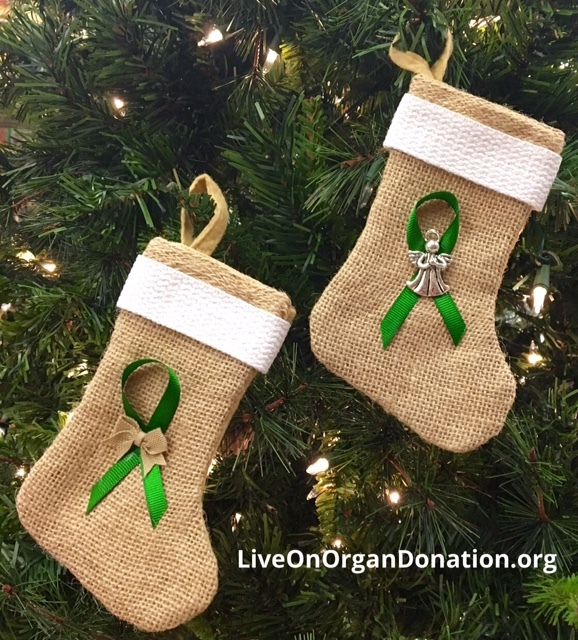 This year, add a little more meaning to your festive decor with an Organ Donation Classic Stocking or an Organ Donation Holiday Tree Ornament. 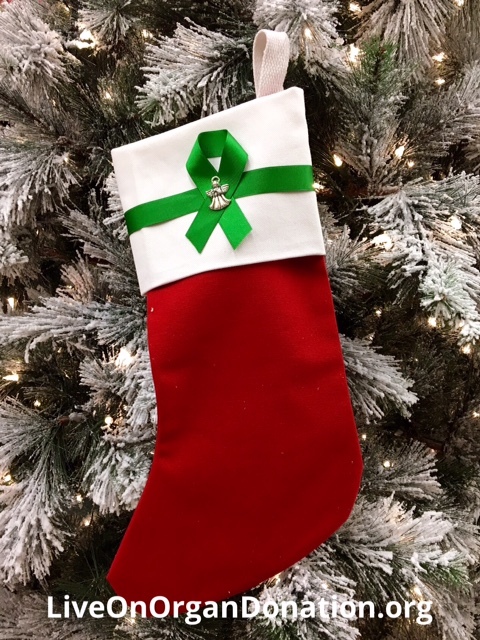 Or, give one as a gift to your donor, or the organ donor family in remembrance of the many lives their loved one changed. Both are tax deductible. All proceeds help Live On, a 501(c)(3), fund living organ donors’ non-medical expenses like travel and lodging. Live On is all volunteer. First, send an email to LiveOnOrganDonation@gmail.com. 1) Tell us what you wish to order and 2) give us your mail address.